The Mayweather worshippers in media are the ones causing casual fans of boxing to hate Mayweather. But may somebody care about him, please! 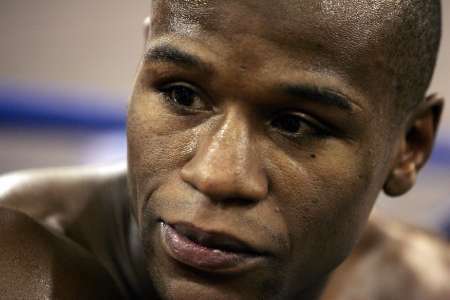 Floyd Mayweather Jr. is to be pitied rather hated or adulated. His bites against nemesis Manny Pacquiao in an impromptu interview few days prior to his fight with Miguel Cotto may have confirmed a diagnosis which reveals an age old ailment that is common to persons who have been detached in a long time from the actual world and therefore could already be on the verge of “loosing it” (along with a handful of Floyd’s “expert” defenders, perhaps). Ever wonder why people chant and root for Floyd’s opponent whenever he fights? And why they watch? Let us measure the stick right. However vastly and laudably skillful, powerful and “genius” Adolf Hitler was as a leader and soldier of his country during World War II, Hitler is still Hitler. So here reposes the liberating beauty and wonder of perspective at a level overlooking the earth. That when the light and heat of the sun, hiding but beaming brightly on the other side, touch the seekers of truth if it is dark and cold where they are. for that? Idolatry. They are two issues apart from each other. his term in jail by immerging himself into The Word for cleansing and growth. adventures, exclusively for his part. What a miserable existence! sport is well or “well”? interesting. But what about Saul Alvarez vs. Chavez Jr., Marquez vs. Morales, Khan vs. When are they going to revive boxing in its original “glory” days, if not now? nobody asked or even thought about it, yet? fights proved otherwise as the news circulated days prior to the fights. for the most compelling indispensable reason that the Arum-Top Rank show must go on.